Looking for great Christmas gift ideas? Everyone appreciates a little extra loving hair care. Longer days in the sun and salt water can take a toll. Which makes hair pampering the perfect Christmas gift. From luxury hair care gift sets, to vouchers for an indulgent hair service or product, here are our top 5 gifts ideas for you, and those you love. The Kérastase Chronologiste gift set represents the ultimate in luxury haircare, a regenerating and revitalising shampoo paired with an intense yet gorgeous mask that regenerates both your scalp and hair for beautiful long term results. 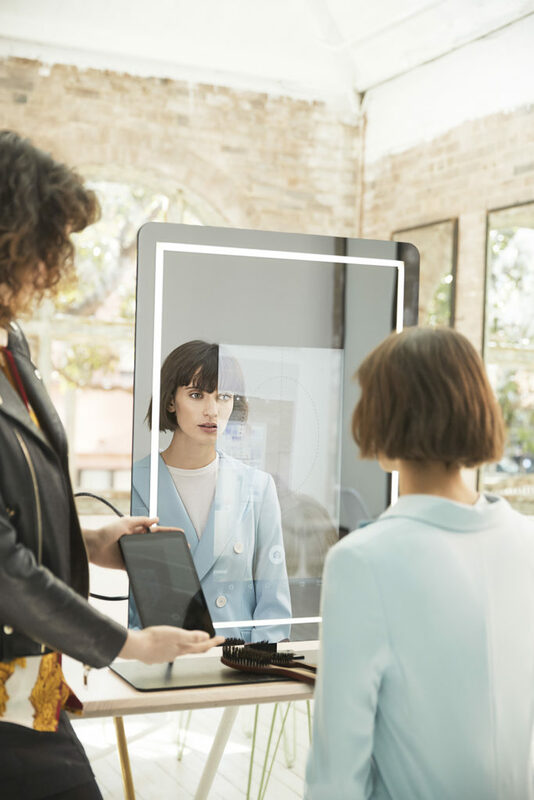 From global leaders ghd, comes the world’s first SMART straightener, ghd Platinum+, that predicts and responds to the specific needs of your hair. Giving you healthier styling in one stroke ghd Platinum+, delivers 70% stronger hair*, 2 x more colour protection* and 20% more shine**. 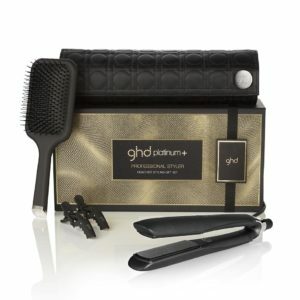 The ghd Platinum+ Gift Set represents exceptional value. Developed with breakthrough ultra-zone with predictive technology, the ghd Platinum+ styler recognises each section of your hair and adapts to ensure a consistent and optimal temperature of 185ºC across the two precision milled plates, for beautiful snag free results in one stroke. Heat is monitored 250 times per second across both plates, and through predictive technology the Platinum+ recognises the thickness of your hair and speed at which you are styling and adjusts the heat accordingly, giving you unbeatable results, personalised to you. Its unique wishbone hinge ensures the Platinum+ plates are perfectly aligned while you style, and the rounder barrel allows you to create curls, waves and the perfect straight look with ease. 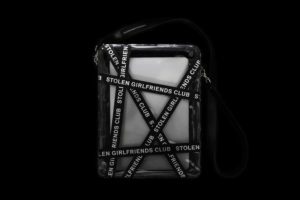 This Limited edition set includes $70 of Redken haircare and a Stolen Girlfriends Club bag valued at $100. Redken Extreme – repairs damaged hair, Redken Colour Extend Magnetics – ideal for colour treated hair, Redken Frizz Dismiss – smoothness & protection from humidity or Redken All Soft – adds moisture to dry hair. Available in-store and online, this beautiful Matrix gift pack represents great value and includes Matrix Total Results Color Obsessed 300ml Shampoo and Matrix Total Results Color Obsessed 300ml Conditioner, as well as a Maybelline New York Push Up Drama Mascara. Rich in both protective and nourishing ingredients, like Vitamin E and Sunflower Oil, Matrix Total Results Color Obsessed protects your colour from fading and helps revive the moisture and strength of your hair leaving it looking more vibrant, shiner and renewed. Pamper that special someone with a gift voucher for hair care product or service from Rodney Wayne. You choose the value and let them choose how they’ll treat themselves. Rodney Wayne stylists and haircare professionals are the experts at listening, caring for hair health and integrity, and ensuring everyone walks out of the salon looking and feeling fabulous. 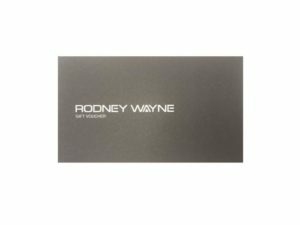 Why they’ll love it: A Rodney Wayne gift voucher opens up a wide range of ways to look and feel uniquely beautiful. Vouchers can be redeemed at Rodney Wayne Salons and Shampoo ‘n’ Things stores throughout New Zealand. Shop in salons and stores or online here. Every time you buy a product or service at Rodney Wayne and every time you shop at Rodney Wayne Shampoo ‘n’ Things you can earn Rodney Wayne Rewards*. They’re rewards that can go towards services and products at both Rodney Wayne salons and Rodney Wayne Shampoo ‘n’ Things. Plus you get access to extra special offers and exclusive products. You receive 3 points for every $100 you spend on services and gift vouchers, and 4 points for every $100 you spend on retail products. Once you’ve earned 10 points you’ll get a $10 reward to redeem for services or products from brands like Kerastase, L’Oreal, Redken, Matrix, and ghd on your next visit. It’s that simple! Simply provide your name, email address and phone number next time you visit and you are on your way to looking and feeling even more fabulous. New French Balayage + Gloss!